The mud kitchen, as always, has been very popular this week with all manner of culinary delights being mixed, cooked, baked and fried. 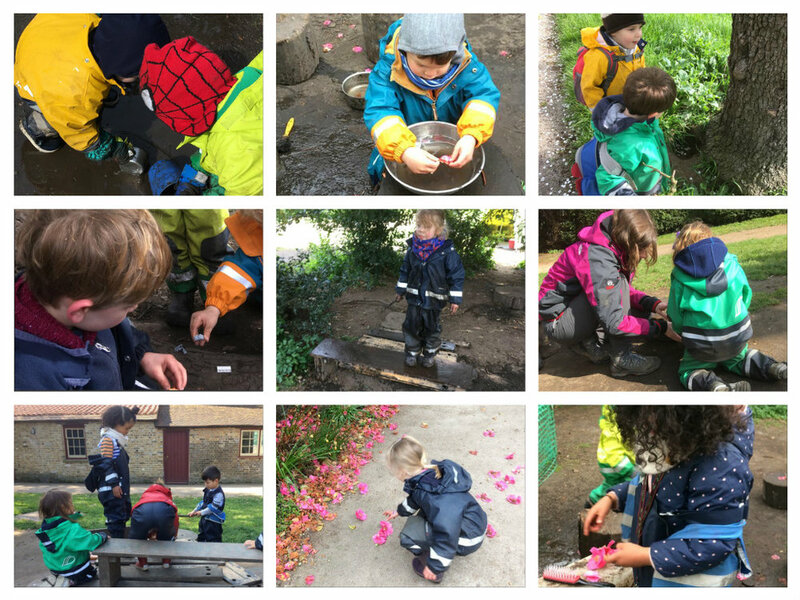 One day the regular mud café play was extended by a group of children who decided that they were going to plan and build a hotel. Once they had agreed upon having an amazing hotel where children could play, sleep and go swimming, they went off to collect loose parts to create their vision, sharing their ideas and negotiating where each part would go. It didn’t just stop at building a hotel, there was also a train to take you there. The driver was very helpful and explained how to reach their holiday destination from the station and gave us all some tips for when we arrived there! 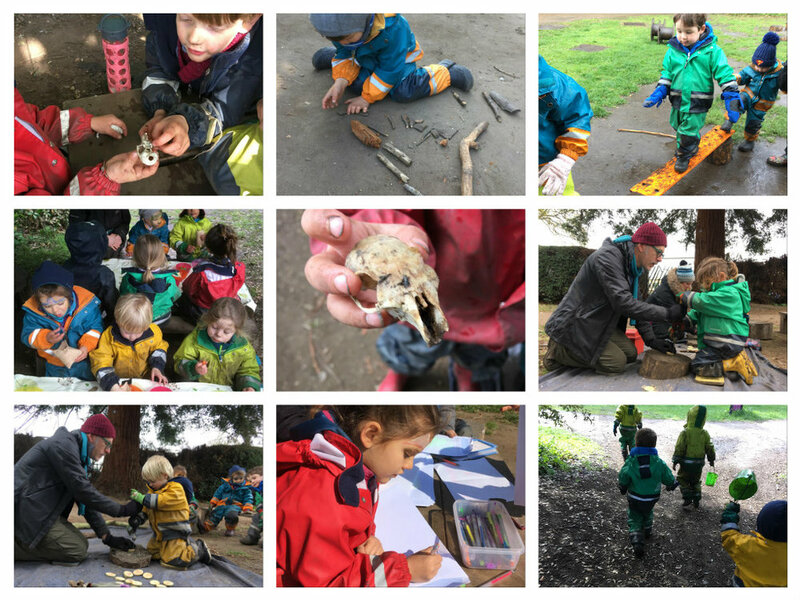 We have also been rediscovering the forest school tools this week and discussing with the children what they would like to make over the next term. There were lots of ideas that involved connecting pieces of wood to construct model cars, to building a treehouse with a bunkbed. It is amazing to observe how incredibly confident and respectful the children are when using the tools, even though we haven’t been using them for a while. Over the coming weeks we aim to introduce a few new tools to open up further possibilities for their natural creations. We hope everyone has a lovely weekend and we cannot wait to see what Easter camp brings!